Does President Obama have a single Obamacare supporter left? 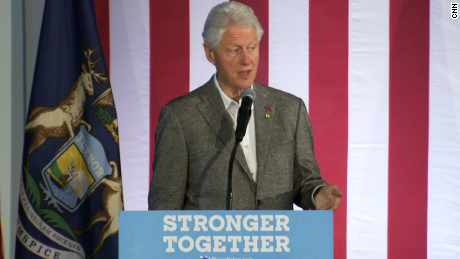 Monday at a Democratic rally Bill Clinton labeled Obamacare: The craziest thing in the world. There are not many times we agree with him, but Bill Clinton on Obamacare is one thing we agree on. This was while Bill Clinton was at a rally in Flint, Michigan. He ripped into the Affordable Care Act in a big way. He pointed out how it is flooding the market and crushing middle-class Americans with raised premiums due to not qualifying for subsidies. Clinton went on record to say, “So you’ve got this crazy system where all of a sudden 25 million more people have health care and then the people who are out there busting it, sometimes 60 hours a week, wind up with their premiums doubled and their coverage cut in half. It’s the craziest thing in the world.” Additional to that, he told the crowd that Obamacare “doesn’t make sense” and “won’t work here.” Bill Clinton tried to overhaul healthcare in the 1990s but had a tough time getting things passed through Congress. Of course Bill was there to tout his wife’s healthcare plan and promote it as a better alternative. She says her plan will allow people who do not have access to subsidies to buy into Medicare and Medicaid. He also said that market-based solutions will not work in the United States.